Reckless driving charges have been filed in the case of a freeway chase involving pop star Justin Bieber and a freelance photographer, the city attorney's office announced in a news release Wednesday. Paul Raef, identified by the city attorney as a self-employed freelance paparazzo, was charged with following another vehicle too closely and reckless driving with the intent to capture pictures for commercial gain; one count of reckless driving; and one count of failing to obey the lawful order of a peace officer. Bieber, driving a chrome-coated Fisker Karma, was pulled over in the San Fernando Valley after what an LA City Council member who witnessed the chase described as a "horrific" traffic situation. 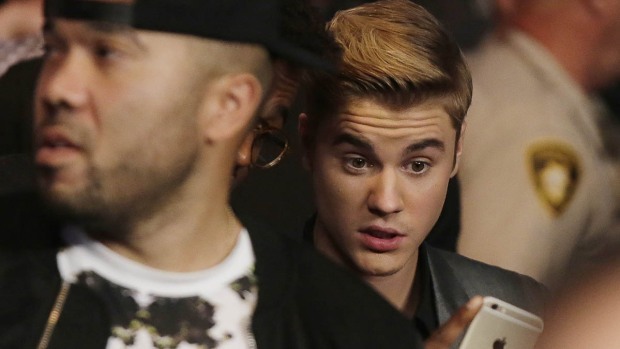 The 18-year-old Bieber was issued a citation. Raef faces up to on year in jail and fines totaling $3,500. Arraignment is scheduled for Aug. 9. The case marks the first prosecution under California AB 2479, approved in 2010. It imposes additional penalties on paparazzi who drive dangerously in pursuit of a celebrity photos or video. Councilmember Dennis Zine was among the callers who reported speeding cars on the 101 Freeway July 6 -- among them, a difficult-to-miss shiny Fisker Karma. The base model runs about $103,000 and offers several high-tech features, including a hybrid-drive system and solar panels on the roof. About six other vehicles were involved in the chase, which exceeded 80 mph across all lanes, according to the city attorney. One of the vehicles, a Toyota Rav 4, was driven by Raef, the city attorney said. Bieber "immediately responded" to CHP officers' orders to pull over, but Raef did not stop as instructed, according to the city attorney. After the traffic stop, Bieber called 911 to report that the same Rav 4 was following him again. Officers found Raef and the vehicle at a downtown LA parking garage.